Mobility as a Service (MaaS) is seen as one of the Next Big Things in transportation, allowing people to seamlessly plan and pay for door-to-door multi-modal journeys. The well-publicised Lisbon Study predicted how the introduction of a fleet of shared vehicles into the city would affect traffic. It discovered that by replacing all car and bus journeys with ride-sharing in small three-person vehicles or taxi-buses of up to 16 people, only five per cent of vehicles would be needed to deliver the same number of trips and that vehicle kilometres and emissions would be reduced. The case for mobility services as an alternative to private ownership is strong, which is why so many different pilot projects are now taking place. 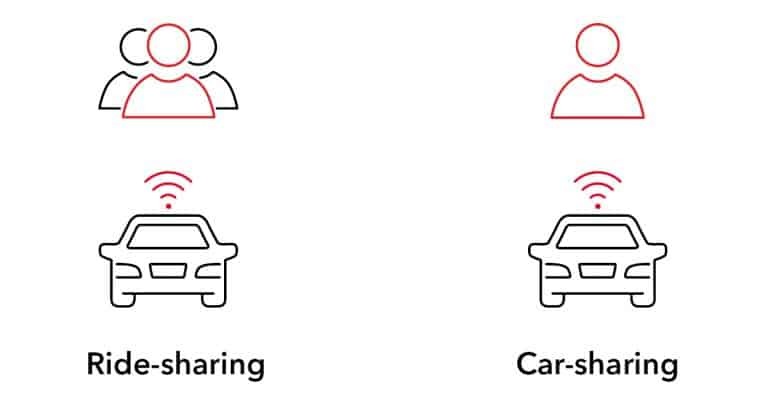 But understanding how a MaaS implementation which integrates services such as ride-sharing will affect a transport network is vital because the wrong assumptions and decisions can easily have negative consequences. For example, in its first iteration, the Lisbon Study tested what would happen if all cars were removed from the city and replaced with shared mobility vehicles. The study found that while the number of total vehicles could fall by up to 90 per cent, this would lead to a significant increase in vehicle kilometres. Similarly, reports from cities around the world where ride-hailing services have become widespread suggest that these have actually increased the overall number of vehicle kilometres driven. 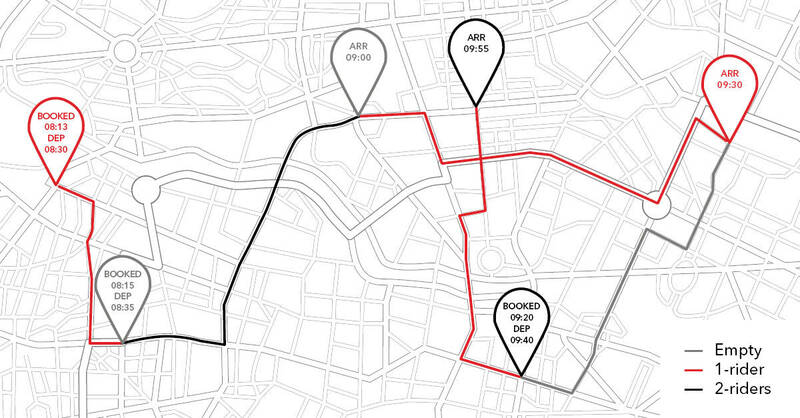 The MaaS concept is interesting for fleet operators, cities, and passengers. City planners also want a better understanding of how MaaS solutions can be designed and operated, and to have a say in the design of services deployed in their cities. City managers must ensure new services do not compete with high capacity public transport, but instead, give a viable alternative to travel by private car. The city’s objective is to integrate a new service within the finance and resource limitations of the authority for people from all levels of society. Different perspectives of passengers, city planners and fleet operators. A strategic transport model can be thought of as a digital replica of the transport system and the socio-demography and economy it serves. A city or a region is divided into geographical zones which includes the generators and attractors for travel demand such as households, schools, jobs, shops and services. Applying behavioural models to this data results in origin/destination demand for journeys, for example, home to work etc. between these zones which can be visualised for example using desire lines. This demand to travel is then mapped to the road and public transport networks using so-called ‘assignment’; consisting of scientifically proven routing algorithms. Such strategic transport models traditionally get used to assessing the impact of future demand on our transport network against the existing or planned future capacity. PTV Visum has been used around the world for strategic transport modelling for many years, and in conjunction with the PTV MaaS Modeller it is very useful for looking at the opportunities afforded by MaaS. Existing demand and trip patterns across a city both for cars and public transport are identified, and then shared mobility solutions are simulated. During simulation, the user can define different levels of performance indicators, for example, acceptable waiting times and detour factors, and from this identify a fleet size. The modeller runs multiple scenarios to identify the optimal design and combination of vehicles to produce a cost-effective service that results in an affordable price for passengers which remains profitable for the operator. From the city perspective, the results are seamlessly consumed by PTV Visum for assessing the holistic impact, helping to ensure the planned MaaS solution delivers, for example, a feeder service to the high-capacity public transport network, and not a service which competes. The model’s output details the total driving time to optimise driver allocations (or in the future the impacts of autonomous driving), identifies the number of vehicles needed and the vehicles’ passenger capacity to be able to serve a certain demand and how many vehicle kilometres will be travelled (which is then used to convert into operating costs). It identifies the most effective waiting times that should be guaranteed to users, which allows passenger choices – eg a larger vehicle with more people arrives in ten minutes but a smaller vehicle might only be guaranteed within 20 minutes). Using MaaS Modeller, it is possible to design a MaaS solution that delivers for all – a fast service for those who can pay for it, or a more cost-effective service for those who can wait for it. The tool is based in the Cloud and provides the opportunity for the designer of the service to input the many scenarios back into the planning tool PTV Visum to interrogate the exact movement of every single vehicle in a fleet. So in effect, the MaaS service becomes a mode in itself within the model, alongside other journey choices. This allows to analyse mode share and mode shift in the strategic transport model which in turn is seamlessly fed back into the MaaS Modeller to identify MaaS waiting time guarantees, detour factors, fleet configurations etc. PTV MaaS Modeller can be used to design MaaS solutions as part of the entire transportation infrastructure, its mode splits and mode share and trip chains etc. MaaS, as part of shared mobility, truly has a future, and fleet operators and cities agree it is a great way to make the most out of existing transport capacity. 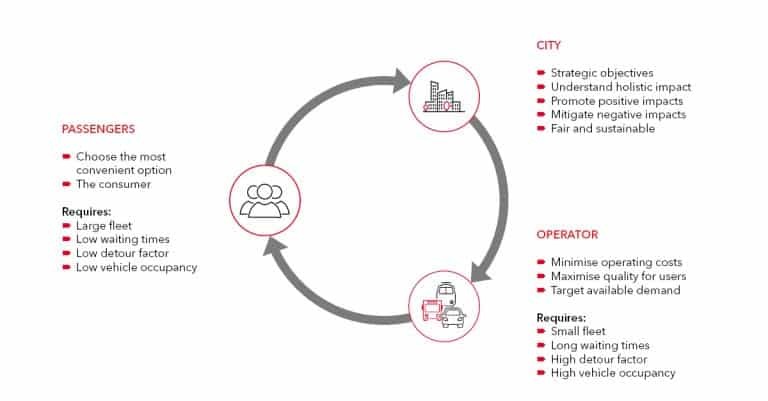 However, it is essential that for this to work most effectively, the planning work must be proactive and not reactive – it will be harder to get it right if planning is done only after these disruptive services have been deployed. PTV’s MaaS Modeller is here now to do that proactive planning before it is too late. Co-authored by Devrim Kara, Director UK & Ireland and Michael Oliver, Solution Director PTV Visum, PTV Group.